"November sees the release of MERRIE LAND, the second album from The Good, The Bad & The Queen, a band comprising of Damon Albarn, Paul Simonon, Tony Allen and Simon Tong. The Good, The Bad & The Queen began life as the acclaimed 2007 album of the same name, a heartfelt tribute to London described by The Observer in a 5 star review as –“One of the most surprising and magical records for which Damon Albarn has ever been responsible”. The record traced a journey from the English music hall tradition to West Africa and Afrobeat, zigzagging through the West Indies and its reggae and dub, back to England and London's punk scene, all the while taking in a strand of British beat music from the '50s right through to Britpop. The result was a record specific to a place and mood but with a background that was geographically wide-ranging. Now the four musical storytellers are back with a new studio album titled ‘Merrie Land’. Produced by Tony Visconti and The Good, The Bad & The Queen was completed in London and Wales this year, during the current ongoing period in which the UK is preparing to leave the European Union, ‘Merrie Land ’is a questioning good-bye letter, a series of observations and reflections on Britishness in 2018. Even though it has been over 10 years since the band last released a record, the timing could not be more apt – there could not be a more perfect band to untangle the optimism, disorientation and confusion in the atmosphere today. With ‘Merrie Land’, the band taps into a creative symbiosis of past and future, drawing inspiration from their shared glittering musical histories and wrapping the hybrid results in a brilliantly postmodern yet thoroughly British package. The album sees the band’s focus move beyond London with a beautiful and hopeful paean to the Britain of today - an inclusive Britain - and the possibilities of the future. In the band’s own words, Merrie Land is a ten song lament of Anglo-Saxosentialism marking the reluctant end of a relationship, and about picking up the pieces and seeing what can be salvaged. The band set a beautifully muted palette and lustrous finish to bring out a mood that is bruised yet unapologetically defiant and optimistic, and carries the underlying message: we will survive. In times of metaphysical trauma, the people need to forge ahead and wear armour. Here it is, set to the mood music of a nation about to be broken yet undefeated." Reluctant end of a relationship? What relationship is that? Is it a metaphor of more "Brexit is terrible" rubbish? yeah what a disaster not having to answer to an unvoted mafia group the EU, with the insane Merkel in the background aswell. Its the shortest album damon ever written. The Fall i ls longer! One star from a website I haven't heard about before. Pram are an experimental pop band from Moseley in Birmingham, who specialise in creating quirky soundscapes, eerie songs and whoozy instrumentals using all manner of strange instruments. They are also unlikely to ever achieve a mass following. The Good, The Bad & The Queen, on the other hand, are a modern-day supergroup, made up of former members of The Clash, Fela Anikulapo Kuti's Africa '70, Blur and The Verve, who have seemingly tried to appropriate Pram’s sonic template to make music that is infinitely less interesting but is likely to be heard by considerably more people than our south Birmingham heroes. The world is an unfair place but what can you do? Merrie England is The Good, The Bad & The Queen’s second album and follows the marginally more interesting self-titled debut of 12 years ago. It is also a directionless dirge with tuneless, little-boy -ost vocals that is only likely to engage the discerning listener for long enough to reach for the “off” button. Indeed, when you consider the wealth of talent involved in its production, it’s shocking to consider what a tedious misfire Damon Albarn, Paul Simonon, Tony Allen and Simon Tong have created between themselves. This is an album that is truly worth a fraction of the sum of its parts. 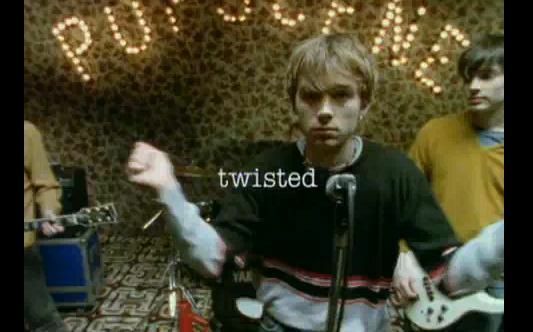 From the opening title track through to set closer “The Poison Tree”, Albarn and his cohorts give the impression that they are purposely avoiding picking up on anything that faintly resembles a groove, as they churn out unfinished and unfocused tunes that sound little better than semi-formed demos. In fact, it is hard to view Merrie Land as anything more than a practical joke that is being played on the more gullible fans of their previous musical output. Ouch!! Bad review. I am not expecting the album to score highly across the board, but from what I have heard of the two released tracks I think it is a little harsh to say these are little more than demo's. I actually rate the production on the two tracks we have heard so far, can't imagine this taking a dive, even if the unheard songs aren't up to much. northernmonkey wrote: Ouch!! Bad review. I am not expecting the album to score highly across the board, but from what I have heard of the two released tracks I think it is a little harsh to say these are little more than demo's. I actually rate the production on the two tracks we have heard so far, can't imagine this taking a dive, even if the unheard songs aren't up to much. Ah but Veikko its the essence of these tracks which is the beauty which I feel many people are missing the point of. Its the depiction of society and the picture of social change. Its not about making hit records and for the music elite. Its for the pure love of music and its ability to portray the now, now!!! Its great that people wish to share their opinions and quite right too. But don't get too deep about it or disappointed. Its the journey which music take us but also the journey of where we will be after next March!!!! For me these two tracks paint the texture of this country with reflective notes of arguable the best blur record made being 'Modern Life is Rubbish'. Here's to hopefully a great night it Hackney!!! The division about this record is making me excited for whatever reason The material Damon has been making for the past 5 years has been kind of... safe, I’d say, more or less. So, while I’m not a big fan of Gun to Head, I think it provides some fresh perspective on what Damon songs/writes/composes, and I think that is good. So, yeah, the album will definitely be a divisive one - I just wonder if I’ll like it or hate it!